Are you a fan of Churros, the sweet cinnamon Mexican treats? Then you’ll love these mini muffins! 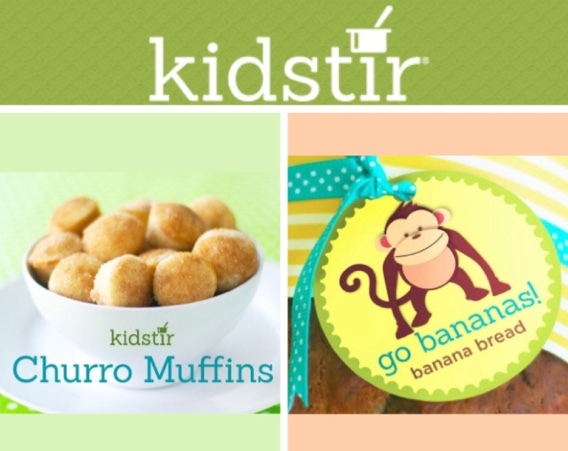 They are easy to mix up, and kids will enjoy dipping churro muffins in melted butter and cinnamon sugar. They are as tasty as the real Churros without all the mess of deep-frying. Bake up these treats in just 15 minutes using the following tools: mini muffin tin, mixing bowls, measuring spoons & cups, a whisk and a spoon. The ingredients include flour, sugar, baking powder, salt, nutmeg, a single egg, milk, butter, vanilla extract and cinnamon. 1. Preheat the oven, Butter the cups of a mini muffin pan. 2. Measure the into a large mixing bowl and stir it all together. 3. Crack the egg into a separate bowl and whisk away, then mix in the remaining ingredients. 4. Spoon the batter into the muffin cups. Turn your Go Bananas! 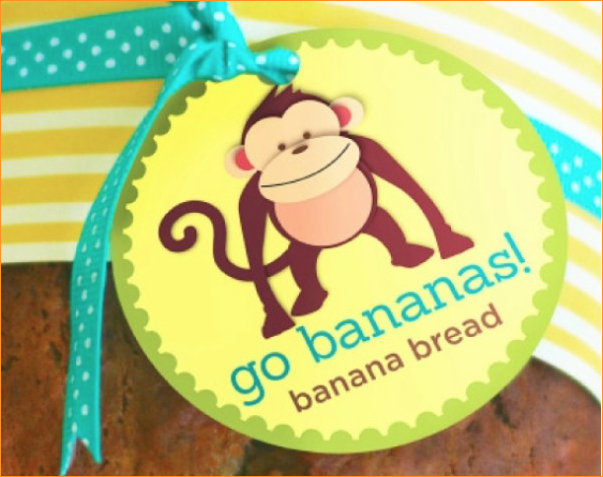 Bread from the Kidstir Bakery kit into a kitchen gift or bake sale item with this fun Go Bananas Gift Tags cut-out! Give some treats to a special friend, teacher or a neighbor! Look what is coming! Planning a Halloween party? Head to the kitchen and scare up some treats for your ghoulish guests! Check out Spooky Celebrations! 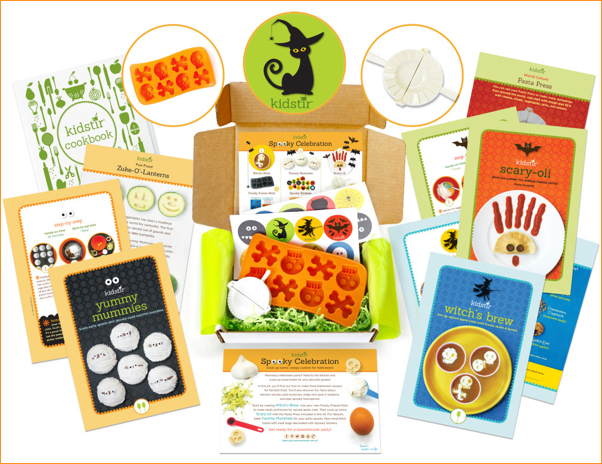 Use the code SPOOKY5 and get $5 off the first kit of a new subscription. Next post: It’s Pumpkin Season Kids!